Investing according to your principles requires a deep dive around an index methodology and an assessment of how committed one is to the investment process. Meaning that – in a passive index process, there is little or no subjectivity beyond the methodology that is defined by the establish rules, but those rules can result curiously in different holdings, different risks and ultimately a meaningful outcome variance. In comparing VETS to HONR, as an example, while both use “The Military Times Best for Vets list to evaluate and rank U.S.-listed companies according to how well they recruit and support veteran and active service members,” because VETS has a scoring methodology. Its holdings are only 44 companies, while HONR holds 104. To learn more about both indexes, we encourage readers to go to the Index Guidebook (HONR) and the VETS Index website. Both funds have plans to give back to the military. Two important facts about the TETF Ecosystem! First, there are no short cuts to providing a live portfolio track record. It is in part for that reason why the acquisition by Victory Capital Holdings (VCTR) of USAA Asset Management ($69 Billion in AUM) should really be viewed as a merger of equals. Victory went public in February 2018, and after the combination of both Harvest Volatility Management and USAA, it will be managing $144 billion. As of September 3rd, 2018, prior to both acquisitions closing, Victory reported AUM of $63.6 Billion. 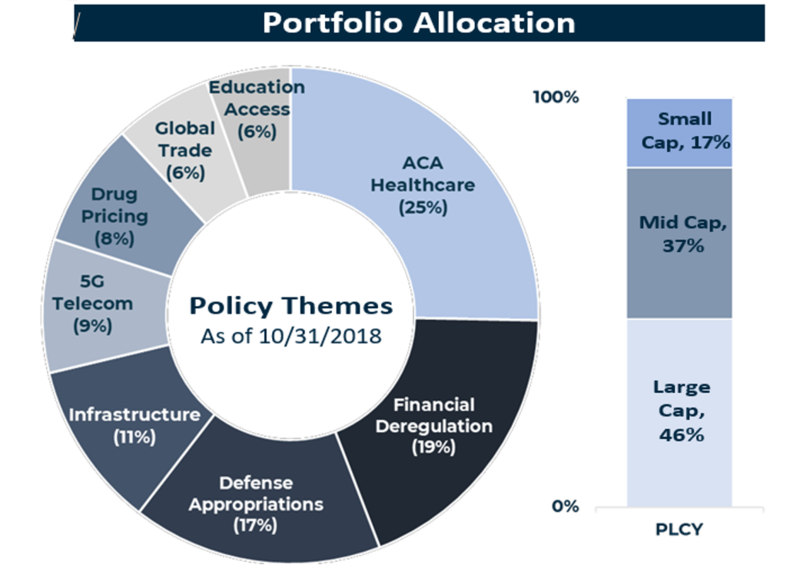 Twenty ETFs will represent about $4.3 billion of the consolidated AUM with 6 ETFs coming from USAA. In terms of the ETF market, this makes Victory a small player in the ecosystem. However, with a platform for growth designed by an aggressive management team, clearly this is a player to watch. 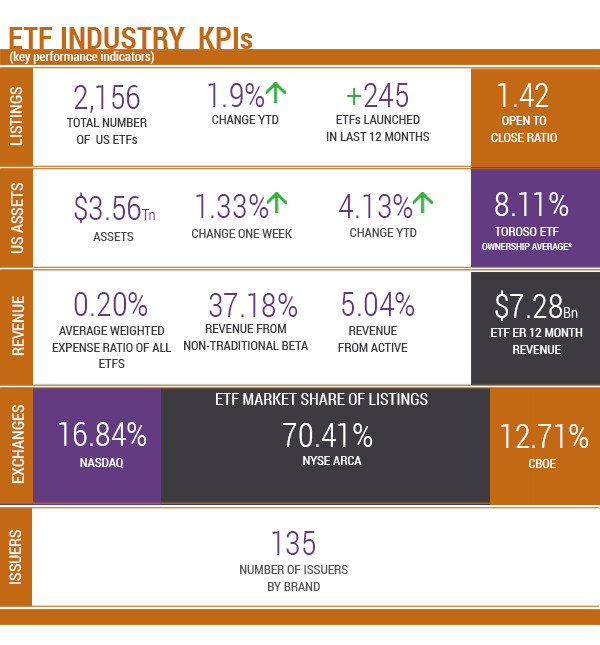 The second M&A fact is that the ETF Ecosystem is made up of companies involved in trading, service providers, and technology companies that deal with risk, research, and index construction. Similar to asset managers, scale provides leverage and a competitive barrier. As a result, acquisitions are often the best solution to building a definable moat with synergies. As a result, Virtu Financial has agreed to buy Investment Technology (ITG) for a 40% cash premium over ITG’s average closing price. Returns as of November 12, 2018. As of November 12, 2018.